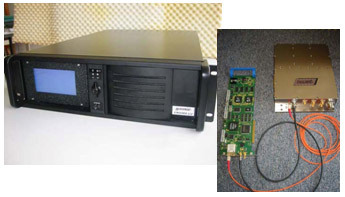 ENIGMA series hardware and FROG/MURAN/COLIBRI software products. ENIGMA III is a combined digital IF receiver, transmitter controller and signal processor which replaces virtually all analog IF receiver components found in a traditional Doppler radar. ENIGMA III SDP extends the well proven concept of ENIGMA digital IF receiver for Doppler radars by additional advanced processing for Magnetron, Klystron, TWT and Solid-State radars. ENIGMA III is based on the most modern digital processing technology and the industry standard PC – LINUX platform. 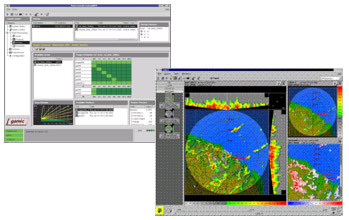 MOSAIC: Radar composite resulting from all networked radars available -homogeneous or heterogeneous radar types. Meteorological satellite and ATC flight data compositing/merging.